I have teens and tweens, and I’m always trying to find ways to give them tidbits of advice without lecturing or inducing eye rolls. One of my current favorite methods is adding inspirational printables into my home decor as a sort of sneaky subliminal message. I change them out every few weeks for a fresh look and a new message. Making a display stand for printables (with a clip to make changing out the printables easy) is one of the ways I can add them without shouting goofy inspirational messages at them and making their eyes roll. Not that I’m above that sort of thing, of course. I started with unfinished wood pieces to make my display stand. A hollow box makes up the main portion, along with a candlestick for a base and a ball foot for the top finial. When working with unfinished wood, I like to use an all‐purpose sealer first as a base coat to keep the wood from absorbing all my paint. After applying the sealer coat, I painted my wood pieces using acrylic craft paint (aqua, white, orange, and lime) to match my decor. 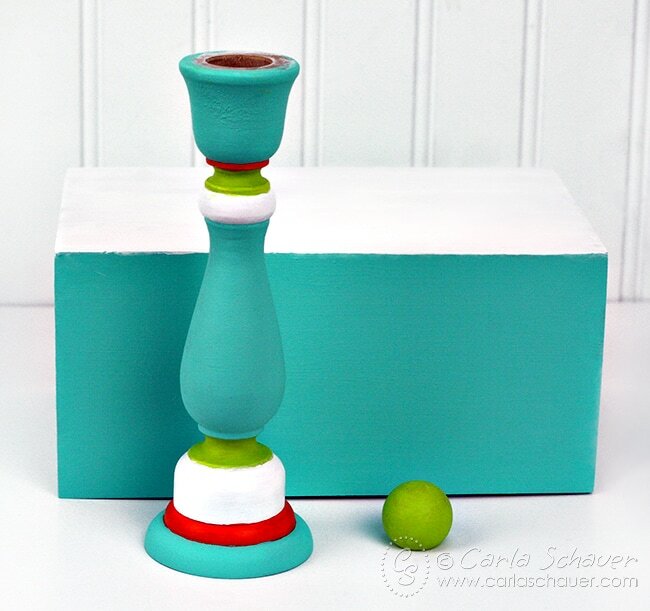 I kept the box simple so it didn’t compete with the printable designs, and then added a little pizzazz on the candlestick base with the rest of the colors. 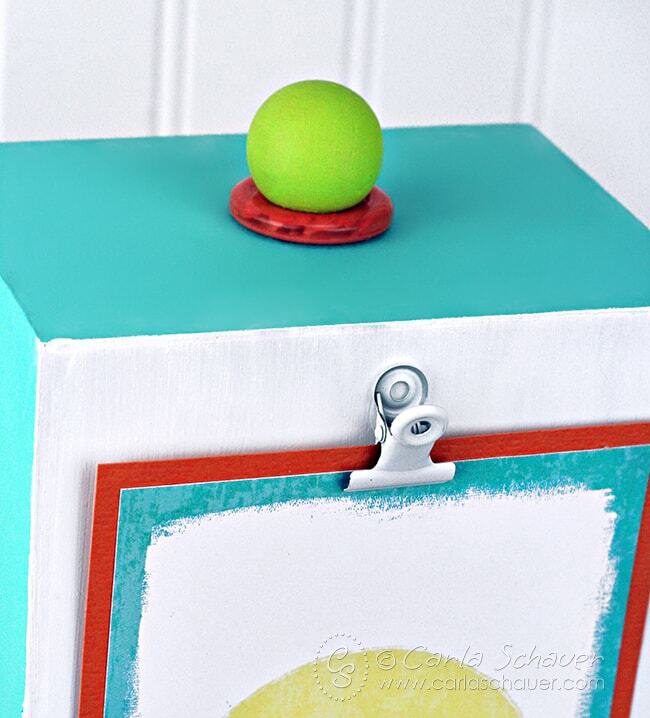 A coordinating orange button glued to the top of the box makes the base of the finial. Then I glued the wooden ball foot on top of the button to form the rest of the top decoration. I chose a small white bulldog clip for hanging the printables. The clip lets me interchange them when I want something new. It was easy to glue the clip in place on the front of the box, using the printable as a location guide. You can also resize standard printables before printing to fit smaller displays. After printing and cutting out my art, I added an orange cardstock mat to add an additional pop of color. Since the printables I use in this display aren’t framed, the cardstock adds extra strength as well. There you have it. A pretty piece of home decor that’s crafty in more ways than one. Plus it’s fun to toss in a joke every once in a while to make sure they’re paying attention. Enjoy!